Selecting from Chen Meng, Ding Ning, Liu Shiwen, Wu Yang and Zhu Yuling, China won Women’s Team gold in late September 2014 at the Asian Games in the Korean Republic city of Incheon. 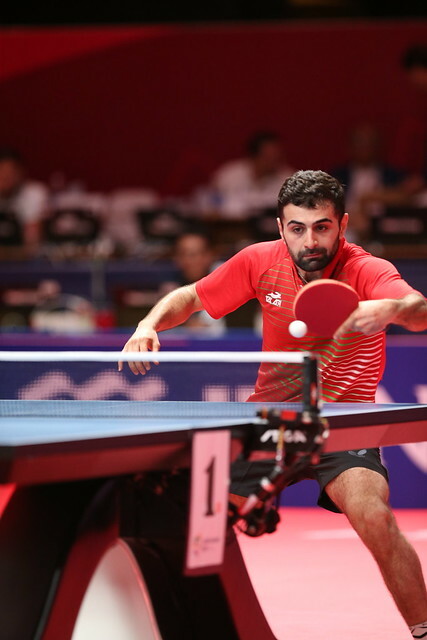 Now four years later at the 2018 Asian Games, the table tennis events commencing in the Indonesian city of Jakarta on Sunday 26th August, they defend the title but there is a new look to the selection. Notably there is no Ding Ning nor Liu Shiwen in the line-up; Chen Meng and Zhu Yuling remain, they are joined by players who have risen to prominence in the last four years; Chen Xingtong, Wang Manyu and Sun Yingsha complete the selection. A change but not as great as that fielded by Japan, the runners up in the Women’s Team event in Incheon; in the Korea Republic city, they selected from Ai Fukuhara, Kasumi Ishikawa, Miu Hirano, Sayaka Hirano and Misako Wakamiya. Now in 2018, the squad is very different and perhaps somewhat surprising. The outfit of four years earlier could be regarded as the strongest possible selection. Memorably the combination of Ai Fukuhara, Sayaka Hirano and Kasumi Ishikawa had won silver in the Women’s Team event at the London 2012 Olympic Games; the trio was a virtual automatic selection. However, since those times Ai Fukuhara and Sayaka Hirano have retired from the international stage, Kasumi Ishikawa has established herself as the leading lady with Mima Ito and Miu Hirano rising to prominence but none of the names appear on the Japanese entry list. They are all on duty at the Seamaster 2018 ITTF World Tour Czech Open in Olomouc. In Jakarta, they select from Minami Ando, Miyu Kato, Miyu Maeda and Mizuki Morizono. Japan occupies the second seeded position; if they are to repeat the silver medal success of four years earlier, they will have to be at their very best, powerful opponents are next on the list. Korea Republic occupies the third seeded position; they select from Choi Hyojoo, Jeon Jihee, Kim Jiho, Suh Hyowon and Yang Haeun. Next in line is Hong Kong with Lee Ho Ching, Doo Hoi Kem, Minnie Soo Wai Yam, Ng Wing Nam and Li Ching Wan on duty. They are major medal contenders, as is the Chinese Taipei selection of Cheng I-Ching, Chen Szu-Yu, Cheng Hsien-Tu, Liu Hsing-Yin and Lin Chia-Hui; they are the fifth seeds. Next on the list is Singapore fielding a combination of experience and youth. Feng Tianwei and Yu Mengyu line up alongside Zhang Wanling, Lin Ye and Pearlyn Koh Kai Xin. Prominent outfits but could the squad to cause an upset be DPR Korea; the seventh seeds, they are led by Rio 2016 Olympic Games bronze medallist, Kim Song I. She lines up alongside Cha Hyo Sim, Choe Hyon Hwa, Kim Nam Hae and Pyon Song Gyong. India, buoyant after being crowned Commonwealth Games champions, completes the top eight seeds; they select from Manika Batra, Mouma Das, Ayhika Mukherjee Sutirtha Mukherjee and Madhurika Patkhar. The Women’s Team event concludes on Tuesday 28th August; the individual events commence on Wednesday 29th August.